ARRA stands for the Australian Romance Readers Association, a group of enthusiastic and prolific readers who love romance — of all kinds. Every second year they have a conference, and an awards dinner in the alternate years. In March I attended the awards dinner and was delighted (and a little overwhelmed) to win four awards. I blogged about it here. 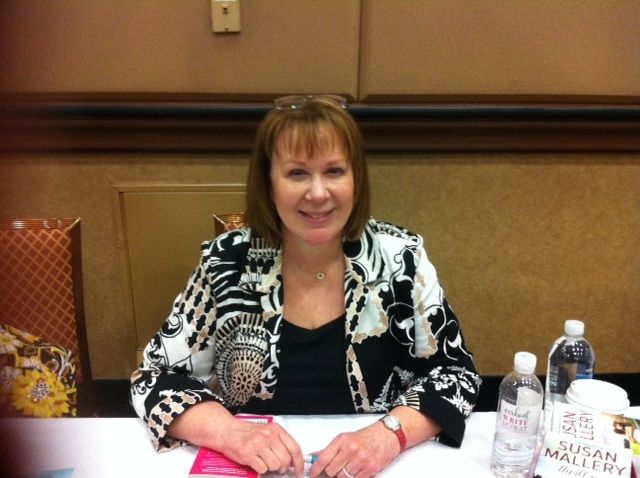 ARRA also holds a big signing at the annual Romance Writers of Australia conference, which in 2016 is in Adelaide. I’ll be there and Ill also be signing copies of my new book — THE SUMMER BRIDE, which comes out on July 5th. The treasure hunt, in which free tickets to the signing were given away is now finished and the winners notified. I hope you were successful. 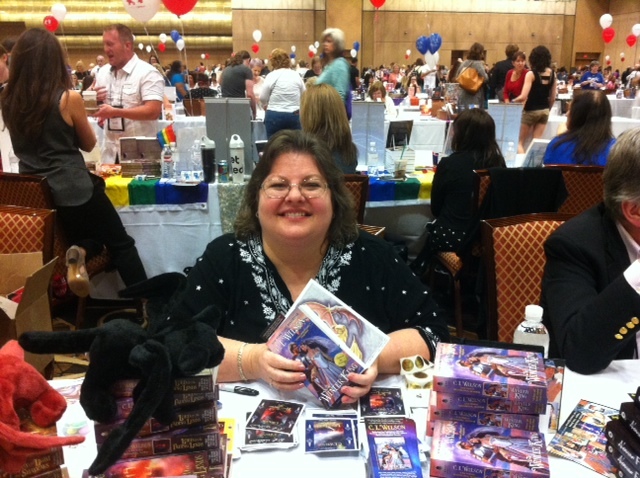 I went to the Romantic Times Convention in Las Vegas last week, and am belatedly reporting in. It was my first time at RT and I only had a vague idea of what to expect. It wasn’t my first time in Las Vegas, but it had changed a lot since I was here fifteen years or so ago, as a backpacker. Bigger, glitzier, and everything coming in a super sized version. There were more than three thousand people at the RT Convention, so it was pretty amazing that I managed to meet up with some of my friends, and meet some new people as well. On the first day there was a reception for international authors in Kathr yn Falk’s suite on the 51st floor. 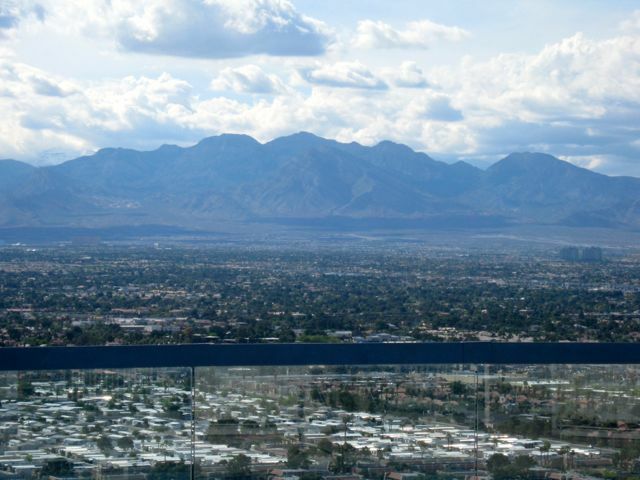 The pic above is the view from the balcony — stunning, eh? 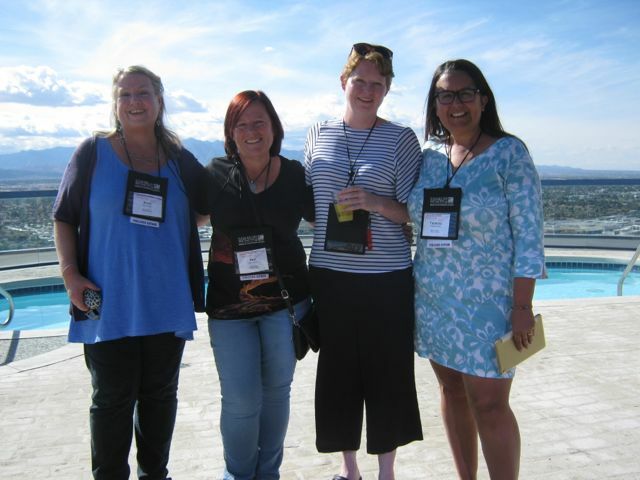 I met lots of Canadian, British, Australian and New Zealand authors there. In the pic below, with me are Keri Arthur, Helen (a Scot living in Asia), and Tasmina Perry from the UK. The next day I participated in a “Meet the Authors From Downunder” event with Keri Arthur, Nalini Singh, Khloe Wren and Nikki Flockton. 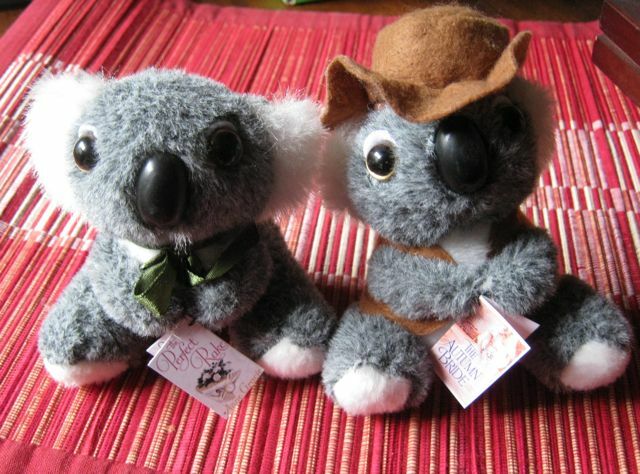 We ran a quiz with plenty of prizes and giveaways, including Tim-tams on the table and a bag containing books and one of these little fellows. Lots of fun. I had a bit of a feather thing going on — which won’t surprise some of you. But this time I managed to infect a few other people. 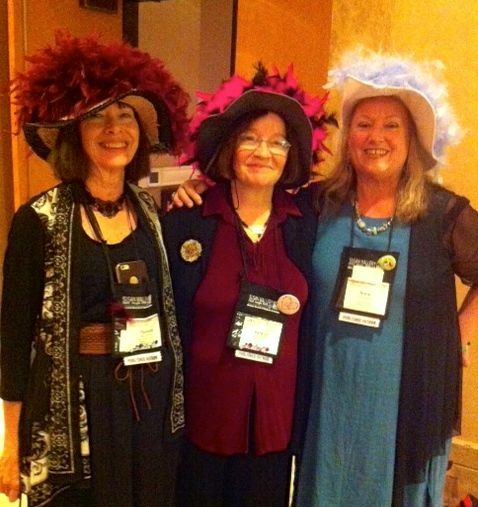 I coaxed Mary Jo Putney and Patricia Rice, the other two wordwenches attending RT, to join me in wearing feathered hats for our historical authors’ panel Rakes Rogues and Warrior Poets. Here we are. And here is Keri Arthur, also be-feathered. 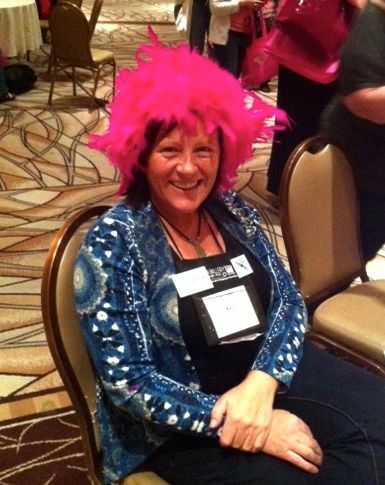 This was at the Berkley signing, where Berkley gave all the authors hot pink feather boas to wear. They’re a bit hot and prickly around the neck, so I wrapped mine around my hat, as usual, and convinced Keri to let me wrap hers around her head . . . Suits her, doesn’t it? Despite the large size of the convention, I kept running into friends and meeting new ones. 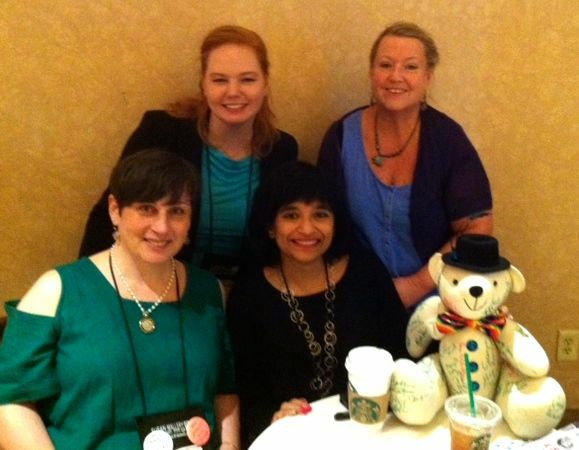 Here I am with Susanna Kearsley, Nalini Singh, and Meljean Brook — and a signed teddy that’s going to be auctioned for a good cause. And I really did gush all over C.L.Wilson, whose wonderful fantasy books I’ve raved about before. It was a thrill to meet her, and even though I have all her books at home, I had to buy another one so I could have a signed copy. 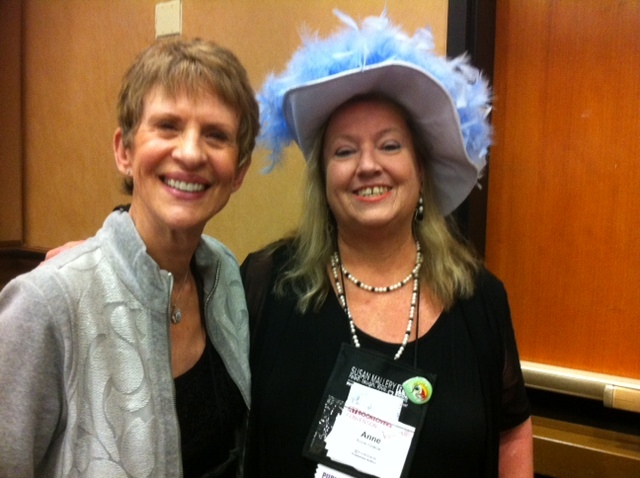 And here is Susan Mallery, whose “Screw the Muse, I’m on Deadline” talk has helped many a friend get a book in on time. I told her so, too. In my next blog, I’ll tell you a little more about the convention and also how I skipped a day of the convention when friends took me a drive out into the magnificent country outside of Vegas. Are you going to the Romantic Times Convention in Las Vegas? If so, I hope you can drop by and say hi. It’s my first RT convention and I’m really looking forward to it. I’m involved in two panels — on Wednesday morning, it’s Meet the Authors from Downunder with my friends Keri Arthur, Nalini Singh and Khloe Wren. And if you’re one of the first 100 people to arrive, you’ll get one of these little fellows in your goodie bag. And possibly a tim-tam. Then on Thursday afternoon at 1.30, I’m on a Historical Hero panel with Mary Jo Putney and Patricia Rice and we’re talking about Rakes, Rogues and Warrior Poets, and how to create delicious heroes. What’s a warrior poet? you ask. You’ll just have to come along and find out.